Pretty much everyone expected Apple to introduce and ship OS X Mavericks today, and they have. However, senior VP of software Craig Federighi surprised the gathered journalists and tech luminaries for today’s Apple Event by announcing that the company’s latest whole-number desktop operating system update is free. 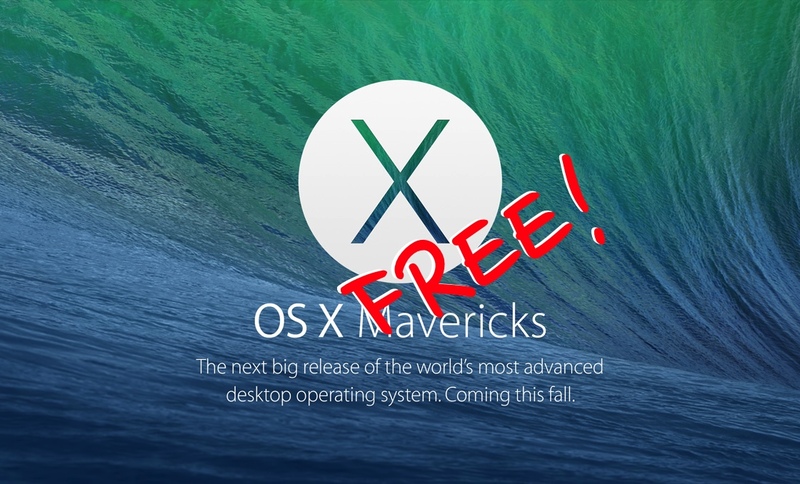 Moreover, anyone running OS X 10.6 Snow Leopard or later gets OS X Mavericks for free — Apple is forgoing all of those upgrade fees. If you have an OS X Mavericks compatible Mac and haven’t upgraded to Snow Leopard, you can still buy OS X 10.6 here. In recent years, Apple has charged $29.99 for OS X Lion and $19.99 for OS X Mountain Lion. In retrospective, the company has been moving toward making OS X free, it just wasn’t obvious until now — never underestimate Apple’s ability to surprise and delight. For what it’s worth, even though it’s been poorly reviewed and received by the market, Microsoft’s latest desktop operating system sells for about $200 — you’d think they’d so something about that. Apple senior vice president of marketing Phil Schiller did the new Mac hardware honors. Yes, as expected, he introduced Haswell-powered MacBook Pros, including new Retina models. However, he did surprise by announcing that traditional, 13-inch Retina MacBook Pros will be priced from $1,299, which is a $100 reduction. Likewise, 15-inch Retina MacBook Pro models will be priced from $1,999, a $200 reduction. Another surprise was the announcement that not only had Apple updated both of its productivity app suites, iLife and iWork, but also that these best-in-class package are now free with a new Mac. Last month, Apple announced iLife and iWork are now free for iOS 7 iThings. And, lastly (for the moment), the 2013 Mac Pro (a.k.a. Darth Vader’s helmut) will be priced from $2,999, which is very much not a price reduction. Previously, Apple charged $2,499 for its entry-level pro desktop, which is being assembled in the US. Look for the new Mac Pro in December. Seeing anything you like at today’s Apple Event? Ready to buy? Watch the live, or cached, stream here and now.